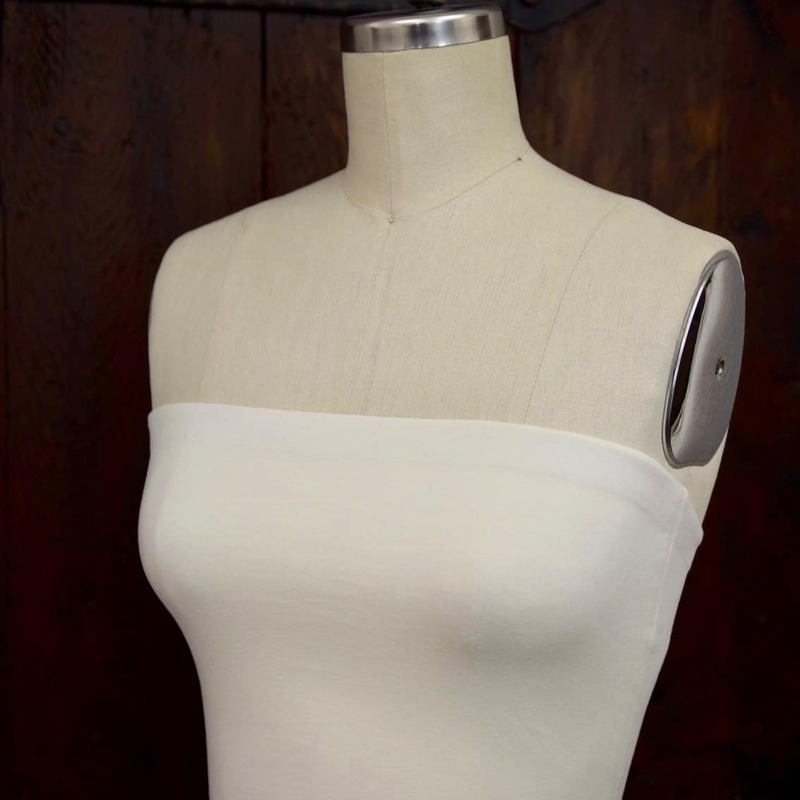 This comfortable and practical bandeau is very practical for layering under sheer tops like lace blouses or chiffon tops and it has the great characteristic of being extremely comfortable supple and soft. This comfortable and practical bandeau is very practical for layering under sheer tops like lace blouses or chiffon tops. It has the great characteristic of being extremely comfortable supple and soft. 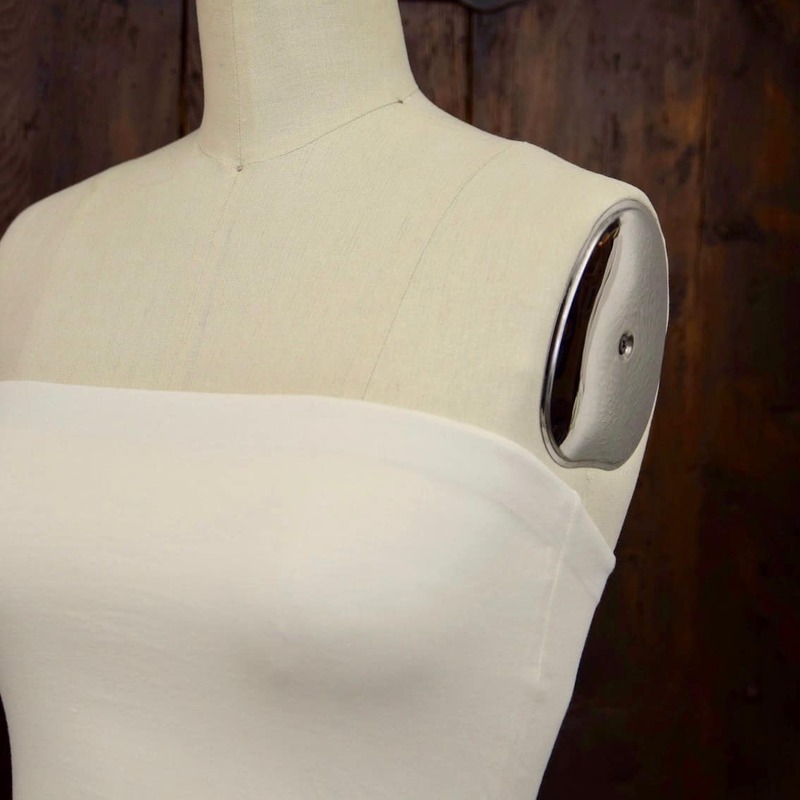 Strapless, it offers perfect support because it is made with two layers of stretch jersey, plus it has a thin band of strong yet supple elastic running along the top for an extra snug and secure fit. You can easily wear a strapless bra under it. It’s is very practical for layering under sheer tops like lace blouses or chiffon tops and it has the great characteristic of being extremely comfortable supple and soft. A lot of care is placed (as always) on construction. 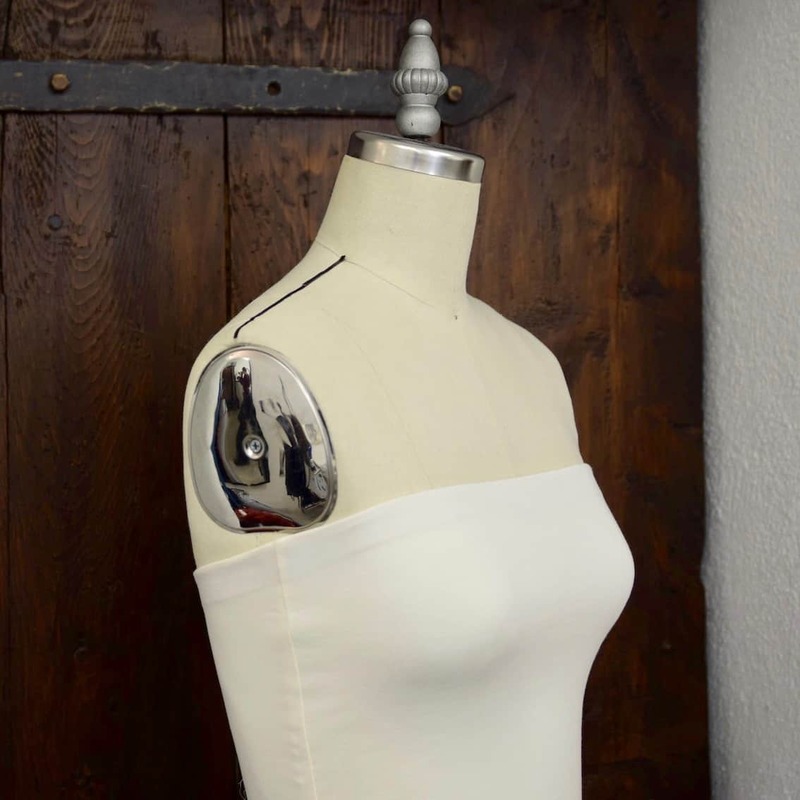 Made with entirely hidden seams, t stays in place throughout the day and follows the shape of your body perfectly without creating folds thanks to the careful shaping of the top edge and side seams. It can be short so that it fits like a crop top, or longer so that it can be tucked it into the skirt’s waistband. 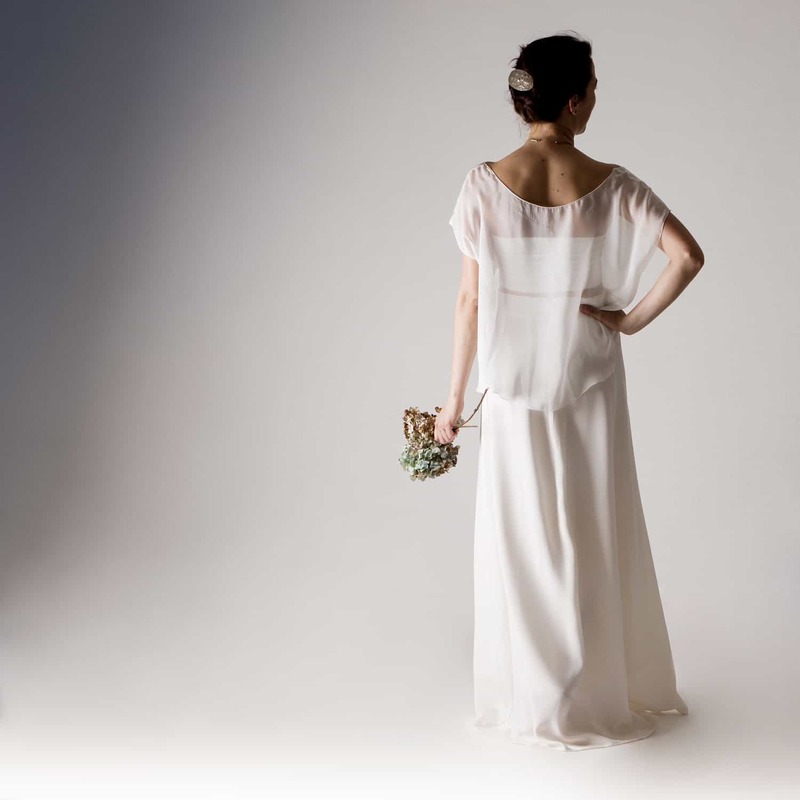 The sample, made in Ivory, is pictured both ways, paired with a sheer silk blouse which is available separately, the Hortensia, and with the Tulipa silk skirt but it looks lovely with the Nolana skirt too. The full look (skirt, blouse and jersey bandeau) is called Magnolia, and is available here. The sash is available here. Machine or hand wash. Iron with a lot of steam and on a medium setting. Please test on an inner part of the garment.